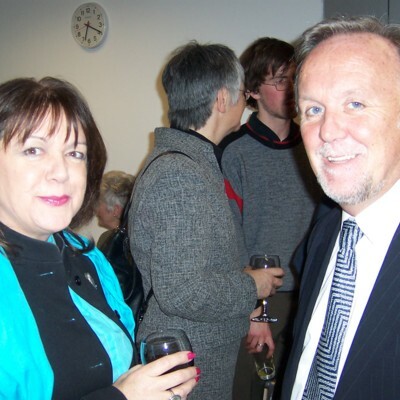 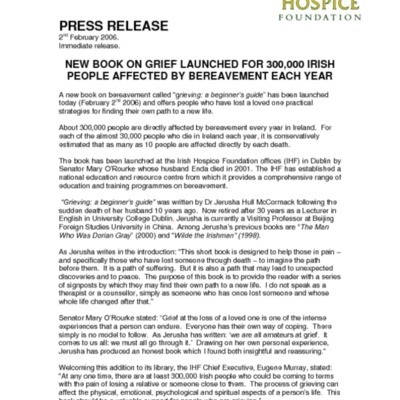 Writter by Dr Jerusha Hull McCormack, retired UCD English lecturer, the book addresses the sudden death of her husband. 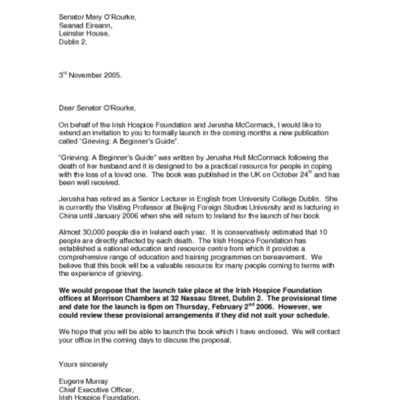 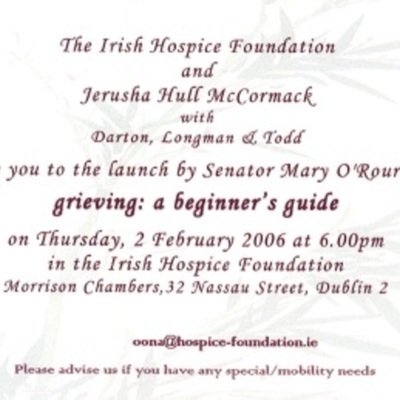 The book was officially launched at the Irish Hospice Foundation’s offices by Senator Mary O’Rourke on February 2 2006. 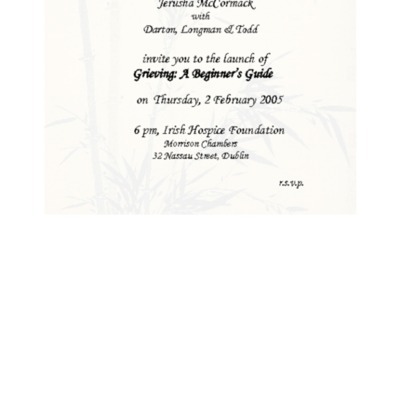 Launched: 2nd of February, 2006.